Browse content similar to 12/07/2017. Check below for episodes and series from the same categories and more! dream about it. Every night it comes back to me. But you can't change it. tragedy that has torn so many lives apart. feels like very much the beginning. Thank you. Frankie McCamley, there. to find out how they're coping in the aftermath of the fire. In sight of Grenfell Tower, fun and laughter. There's a lot of food and, yeah, just really fun overall. Then, it got a bit easier after a few weeks. Children can play and be supported. Parents can get some respite. I've got two boys and also an older girl, who is 13.
really affected by it, as well, and upset. The last week, some of the symptoms have become kind of more severe. We find that a lot of kids have been scared to go to bed. They have been scared to fall asleep. in resetting their routines and making the children feel safe. In the art tent, children can paint anything they want. It is very sad that so many children witnessed it. All the children here have witnessed unimaginable horror. This is just the beginning of a healing process. But we know that healing is going to take years. Graham Satchell, BBC News, West London. rights as those enjoyed by heterosexual couples. end of the rainbow. Clive Coleman, BBC News. There has been another drop in unemployment. according to the latest official figures. But wage increases continue to fall further behind inflation. Earnings rose by 2% year-on-year, below the current rate of inflation. Here is our economics correspondent, Andy Verity. They will join a record workforce of 32 million. why their pay will not beat inflation. It is the most difficult thing a house to do. It is the most difficult thing I have to do. Unemployment is just under 1.49 million. theory can seem out of line with the facts. Andy Verity, BBC News. he cannot hear any whistling, just the clock ticking. Let's talk to our Brussels reporter, Adam Fleming. relationship between the EU and the UK. Thanks, Adam Fleming, there. controlled by the energy regulator, Ofgem. Here's our business correspondent, Theo Leggett. makes up a quarter of our energy bills. and approved for an eight-year period. make too much money - ?7.5 billion of excess profits. Ofgem have overestimated the cost of investment and borrowing. For example, interest rates have not been as high as they expected. of any efficiency savings they have made. set of price controls, from 2021, will be tougher. improve value for money for consumers. We are keen to engage people like Citizens Advice. next price controls will be consumer-led. like Citizens Advice and other consumer bodies. years to help keep the lights on and our homes warm. join Johanna Konta in the semifinals. Those e-mails have released some disturbing questions. In retrospect, I would have done things differently. This is before they were building it up in the press. This was opposition research, I wanted to hear it out. But that was not what the meeting was about. and a British publicist named Rob Goldstone. "information which would be very useful to your father". and its government's support for Mr Trump." Donald Trump Jr replied simply, "If it is what you say, I love it." Do you tell your father anything about this? It was such a nothing, there was nothing to tell. It was a wasted 20 minutes, which was a shame. campaign has left lawmakers of both parties deeply concerned. at the meeting at Trump Tower only adds to the concern here. was for information about its Presidential rival. A year ago, Turkey almost fell to the tanks. He evaded capture and emerged stronger. 150,000 sacked or suspended, accused of links to the plotters. Turkey again the world's leading jailer of journalists. criticism and denied that press freedom was under attack. TRANSLATION: Those people in jail are not titled journalists. some of them were jailed for possession of a firearm. The past year has soured relations with Europe. Mr Erdogan slamming German and Dutch leaders as "Nazis". He said Turkey's decades-long dream of EU membership is not absolute. they don't think its approach to Turkey is sincere. it is proof of Turkey's democratic decay. And for their EU and Nato allies, he is not an easy partner. closer ties with Spain, as the UK prepares to leave the EU. Spanish Queen in the first carriage. What is the serious business? morning to two British players in the semifinals? It looks that way. what more could you want? Not anything, really, to be honest! and is calculated to weigh a trillion tonnes. of sunshine coming through. Barely a cloud in the sky for the Midlands. For Northern Ireland, another dry day, more sunshine than yesterday. will be no interruptions to play caused by the weather at Wimbledon. and with the clear sky, the temperatures will fall away quickly. in the south, it could become warm and humid. A reminder of our main story this lunchtime. survivors of the tower fire to trust the council again. 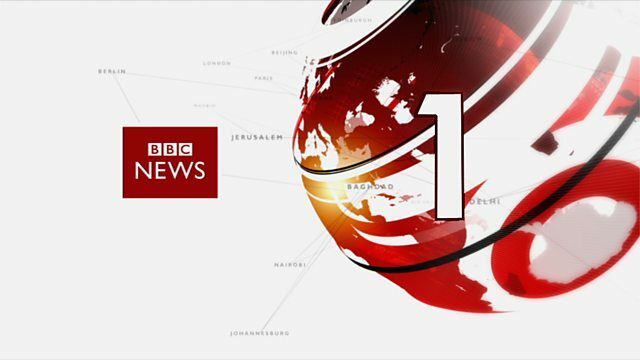 and on BBC One we now join the BBC's news teams where you are.